Comic Con 2017 has come and been gone for a couple of weeks now, leaving a plethora of wonderful trailers in its wake that would leave any pop culture enthusiast watering at the mouth. 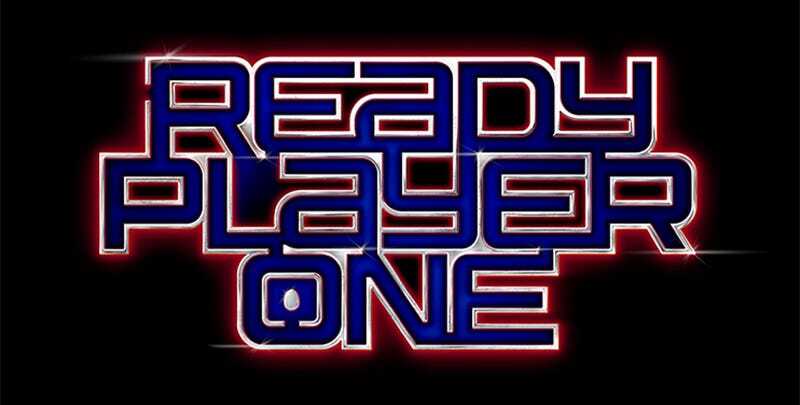 Among these trailers, the legendary filmmaker Steven Spielberg and Warner Bros Studios unveiled a first look at their upcoming sci-fi adventure adaptation based on Ernest Cline’s best-selling book, Ready Player One. Since the release of the reference-loaded, bombastically fast-paced trailer, I’ve vigorously read through the entirety of its source material in anticipation for the adaptation. Releasing back in 2011, Ready Player One exists as a love letter to practically any facet of ‘80s pop culture you could think of. From the quintessential tabletop role-playing game Dungeons and Dragons to Rush’s dystopian-themed concept album 2112, it remains blatant that author Ernest Cline wrote the novel with a pure, unrelenting affinity towards the iconic decade. Speaking of “dystopia”, let’s delve into Ready Player One’s plot! Picking up the book, one may notice that the cover proclaims the story to be reminiscent of “Willy Wonka meets The Matrix”, yet I’d venture to say that the story is more along the lines of Willy Wonka meets Scott Pilgrim with a hint of Hunger Games. Cline’s novel follows Wade Watts, an awkward, acne-ridden, slightly overweight introvert, as he survives life in the “stacks” (imagine a run-down trailer park where the trailer homes are stacked atop each other, forming towers). The only escape from his poverty-stricken life is a virtual reality simulation called the OASIS, in which any player can be whoever and do whatever they want (within reason, of course). At the start of the story, the reader learns that the creator of the OASIS, James Halliday, has passed away, leaving his entire fortune and power of his virtual society to whoever can find an “Easter egg” he left behind. This leads to a virtual treasure hunt so massive that an entire culture grows around the obsession of finding the egg and subsequent keys leading to its digital location, capturing the attention and free time of Wade, our protagonist. Phew, that’s the book’s basis in a nutshell, a very summarized nutshell. With this plot and setting where, as Wade mentions in the upcoming film’s trailer, “the limits of reality are your own imagination”, Spielberg’s adaptation of Ready Player One is bound to be filled with characters, settings, and music from a wide array of properties. The ultimate question at hand is, what from the book will remain? Among the book’s fans, the ultimate fear regarding a film adaptation was (and easily still is) that of licensing and copyright. As mentioned before, Cline uses a non-stop barrage of ‘80s iconography, cultural references, and classic rock and pop songs as not only atmosphere, but as pertinent plot points throughout his book. Bringing that to the big screen could truly be a legal minefield for any studio. Yet, watching the trailer, Warner Bros seems competent enough (and own enough ‘80s nostalgic intellectual properties) to be able to bring the novel to life. Hopefully, if any copyright issues were to arise with anything outside of Warner Bros Studios’ jurisdiction, the sheer power of Spielberg’s name should help. This finally leads me to Spielberg himself. Who else would be more perfect to bring a sci-fi adventure epic that encapsulates 1980s nerd culture to life than the cinematic king of the ‘80s, Steven “I’ll rest when I’m dead” Spielberg? While Spielberg has taken a bit of a darker turn over recent years with awards season bio-pics like Lincoln, Bridge of Spies, and the upcoming The Papers, Ready Player One should provide a welcome return to adventure and action. Along with the A-list director is a wonderful cast, including Tye Sheridan (X-Men: Apocalypse, Scouts’ Guide to the Zombie Apocalypse) as Wade and Mark Rylance (Bridge of Spies, The BFG) as Halliday. Adding to the cast, the film will feature Olivia Cooke (Bates Motel, Me and Earl and the Dying Girl), Simon Pegg (Shaun of the Dead, Hot Fuzz), Ben Mendelsohn (Rogue One), and TJ Miller (Deadpool, Big Hero 6). In preparation for Ready Player One’s impending release, I highly recommend checking out the original book. You will have plenty of time to read, enjoy, and geek out about it during the next 7 months before its release.